Let's go dancing at one of the most prestigious Parisian venues : the Maxim's, property of the renowned fashion designer and businessman Pierre Cardin. 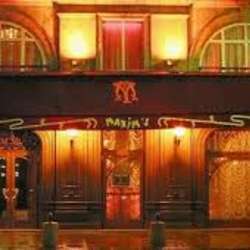 This Art Nouveau restaurant & club is nestled in the Concorde-Madeleine district. It is a historically ranked landmark and meeting place for numerous international celebrities. The 2nd floor of the Maxim's will be privatized for us throughout the evening and our favorite DJ will play the best tunes exclusively for you so don't hesitate to attend at any time, even late!